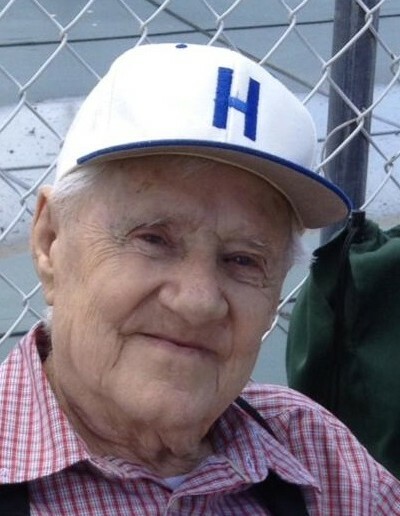 John N. Walmer, 89, of East Hanover Township, Dauphin County passed away Monday, October 22, 2018 at Carolyn’s House, Harrisburg. Born March 13, 1929 in East Hanover Township, Lebanon County, he was a son of the late Adam J. and Bertha S. (Hetrick) Walmer. He was the widower of Marian K. (Koons) Walmer on January 2, 2017 after 69 1/2 years of marriage and was also preceded in death by siblings Adam W. Walmer, Jonas J. Walmer, Emma Wolfe, Blanche Ruth, Sallie “Curly” Hetrick, and Grace Pankake. Employed by Operating Engineers Local 542 and Lower Dauphin School District, he was a Deputy for the Pennsylvania Game Commission with 25 years of service and a member of Faith United Church of Christ and William S. Snyder Lodge #756 F. & A.M. John was an active member of the East Hanover Community where he was involved in the local Boy Scout Troop and a lifetime member of the Grantville Volunteer Fire Company. Surviving are his daughters Beverly A. Wyld (Byron), Bonnie N. Gardner (Jimmy), Barbara E. Miller (Bradley) and Bambi L. Deimler; brother Harold L. Walmer; 12 grandchildren; 15 great grandchildren; four great great grandchildren; and two feline companions Momma Cat and Tillie. A memorial service will be held 11:00 AM Saturday, November 3, 2018 at his church, 117 North Faith Road, Grantville preceded by a visitation beginning at 10:00 AM. In lieu of flowers, contributions may be made to East Hanover Township Autumn Leaves Transport, 8848 Jonestown Road, Grantville, PA 17028.